Our clients insist on working with partners that design with creativity, passion and skill. 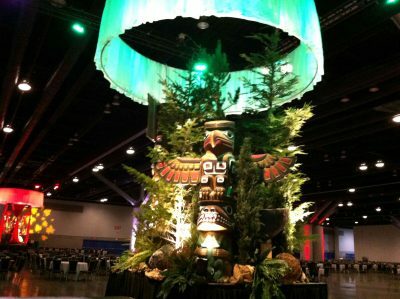 Our Vancouver Event Décor division is here to assist you from concept to custom creation. We specialize in corporate event decor, and a variety of other event decorations. Do you need some inspiration? Perhaps you have a general theme in mind but need help flushing out some decor ideas? Maybe you are working to a tight timeline or budget? Our team has curated a collection of looks designed around various decor themes. Perfect for your next personal or corporate event. Every Event We Decorate Becomes More Beautiful. Our job as event decoration leaders in Vancouver is to think outside the box, and make your event as visually stunning as possible. All while staying within your budget. 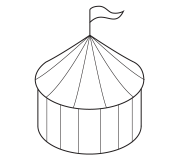 Whatever the type of event, decorations, or theme you need we want to discuss what’s possible. We love creating inspiring and beautiful event designs, and we’ve got the technical expertise, experience, and local BC connections to pull them off. 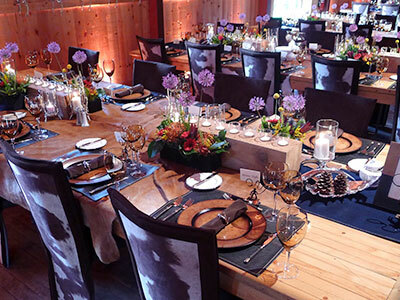 BOLD Decor is one of the largest decor design and rental service providers to corporate events in Western Canada including Vancouver, Whistler, Banff and beyond. We have managed multi-wave, multi-night corporate event programs. We have provided event decor services for groups of 3000 and up. We often custom order and custom build to achieve our clients vision. We understand the requirements of the corporate event planner, DMC, or production company. All our events have beautifully detailed proposal layouts, CAD ground plans and renderings where needed; all are meticulously costed to be sure of an accurate budget. All events we work on follow our proven production methods. If you are a local event planner and have an in-bound program to our area, please reach out and we will help you build your vision. We also design and provide for local, small social gatherings, intimate high-end parties and galas, feature charity galas, and just about every size and scale of event. Every event we work on means something special to the host. The BOLD decor team will listen to your needs and use years of experience to advise you when needed. If you are looking for decor design, wedding supplies or decor, party decorations, decorative lighting, or have another type of event please don’t be shy – we’ll work with you to see if we’re the right fit for your needs.